Democratic presidential candidate Elizabeth Warren has apologized to the Cherokee Nation for her decision to release the results of a DNA test showing she has distant Native American ancestry, the tribe said Friday. 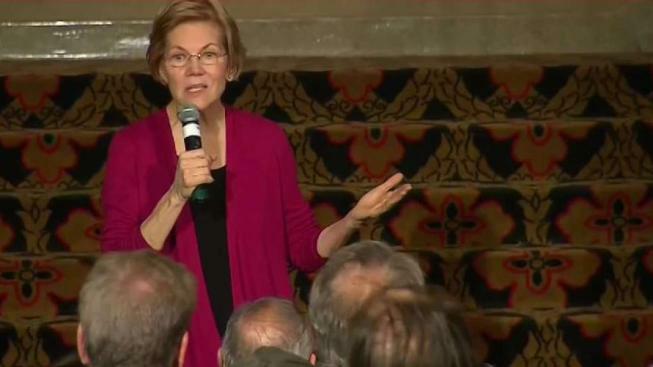 “Senator Warren has reached out to us and has apologized to the tribe," Julie Hubbard, the executive director of Cherokee Nation Communications, said in a statement to NBC News. "We are encouraged by this dialogue and understanding that being a Cherokee Nation tribal citizen is rooted in centuries of culture and laws not through DNA tests. We are encouraged by her action and hope that the slurs and mockery of tribal citizens and Indian history and heritage will now come to an end." Warren, whose campaign did not immediately respond to a request for comment on the Cherokee statement, was widely panned for deciding in October to respond to President Donald Trump's taunting by releasing the results of the DNA test, which found "strong evidence" that she has Native American ancestry dating back six to 10 generations.